San Isidro de El General, Southern Pacific zone, Costa Rica. Shortly after moving to southern Costa Rica in 2015, a new priority topped my “to do” list: make friends. I knew that cultivating friendships would be essential for me to adjust to my new life. I needed to expand my social network, but I wasn’t quite sure how to go about it. My support systems in the States of family and friends were no longer a short drive away. It was important to start building a new network of friends. It was time to get creative. Since the world is dominated by the internet and online social networks, I decided to peruse the web in search of groups and organizations that would introduce me to future friends. 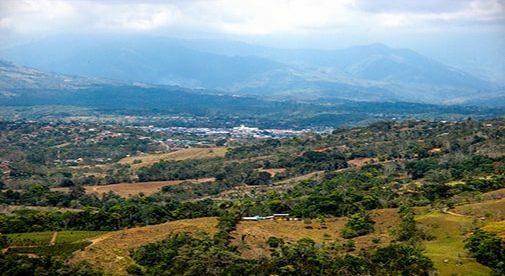 An acquaintance I met on Facebook lived in San Isidro de El General and told me about the local weekly newsletter Chayotevine: Pura Vida Connections. I also found a vast network of English-language blogs written by expats. It wasn’t long before I made online friends. My husband, Wes, and I made a conscious effort to introduce ourselves to our neighbors and discovered that we had some common interests. One couple invited us to join them in an English-speaking bible study group, while the wife of another turned out to be a real “foodie” She is an excellent cook and has invited us to many dinner parties. This couple also enjoys eating out and introduced us to some lovely local restaurants. Wes and I joined Del Sur Country Club mainly to use the gym, and I also took a water aerobics class with 25 locals and expat ladies. Last year Wes drove our car in the annual local Club de Leones (International Lions Club) fund raiser car rally race. We are looking forward to participating in the rally again in May. The organization that has most helped me adjust to Costa Rican life and get acquainted with people is the Perez Zeldon International Women’s Club (PZIWC). Gerri Lowery, the PZIWC social committee chairperson, has become a good friend. The club is a wonderful group of women, waiting to welcome you and offer friendship and a heads-up on what’s happening in the area. We reached out to others with similar hobbies and interests. Wes has found niches like the local gardeners’ group, who have helped in his endeavor to grow orchids, and a stained-glass class to expand that interest, while I took a sewing class. There are many skillful locals and expats willing to share their time and talents. We joined a group that plays cards on Sunday, and we frequently take day trips to the beach, and bus adventure trips exploring different parts of Costa Rica. Our horizons have been broadened by becoming friends with people whose first language isn’t English. Some of our new-found friends are expats, but not necessarily from the U.S., hailing from Canada, Nicaragua, Venezuela, France, Holland, Germany, Scotland, Ireland, England, and of course locals, including the Spanish teacher I met at my water aerobics class. A local custom is to greet friends and acquaintances with a kiss on the right cheek. In practice, this is often an air kiss accompanied by a light hug and has become one of my favorite Costa Rican customs. I can happily report that my mission to make new friends has been accomplished. Our Costa Rica social life and support system of friends is fabulous.